Thanks to its location in the center of the country, religious tour groups can come into the city from any direction. 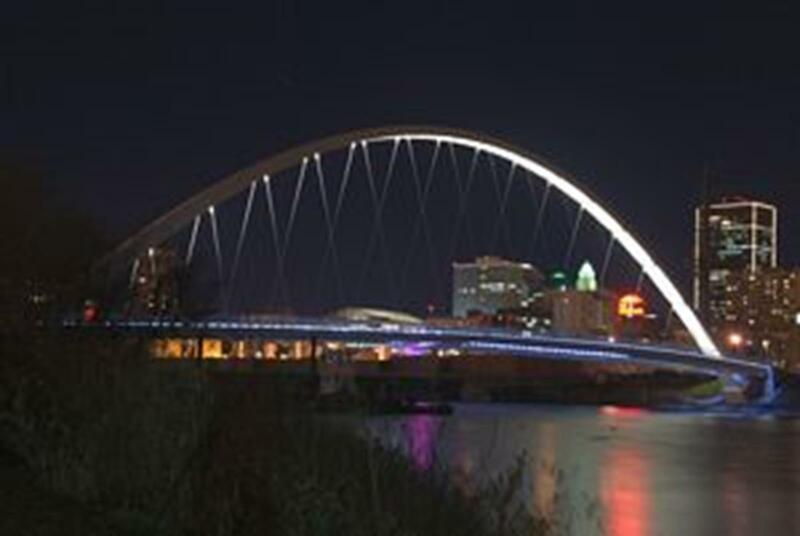 Des Moines International Airport is just a few miles southeast of downtown, and Interstates 80 and 235 service the area. The city is far from any large body of water, so summers are humid with temperatures reaching between 90 and 100 degrees. Frequent afternoon thunderstorms roll through the region in the summer. Autumn brings more comfortable temperatures and a myriad of red and orange foliage. The Cathedral Church of St. Paul is a frequently renovated church that sprang from humble frontier beginnings in Fort Des Moines. 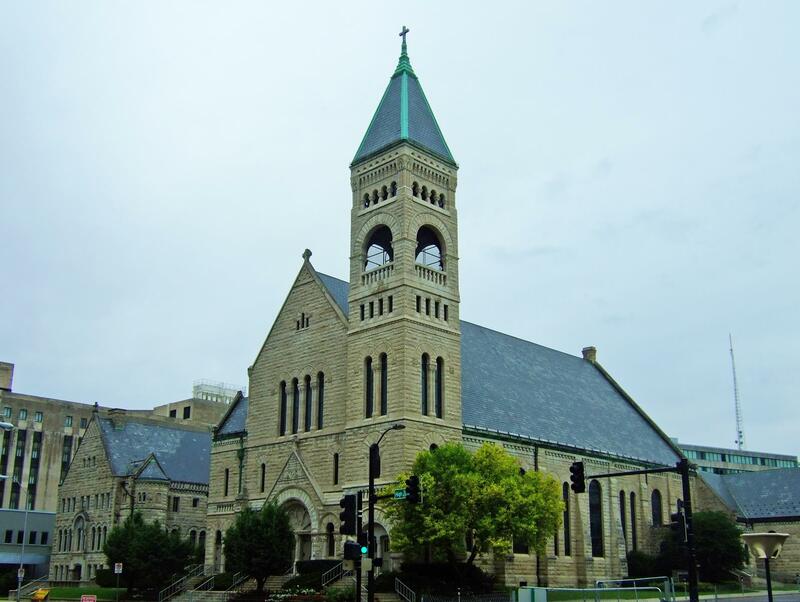 Completed in 1885 by local architects Foster and Liebbe, the church was built in Gothic Revival style. Its original wooden steeple was destroyed by a storm in the 1930s. A kitchen was added in the 1940s and the chancel was redecorated at about the same time. In 1952 a parish house was added to create space for classrooms, staff offices, the Guild Hall and a chapel. 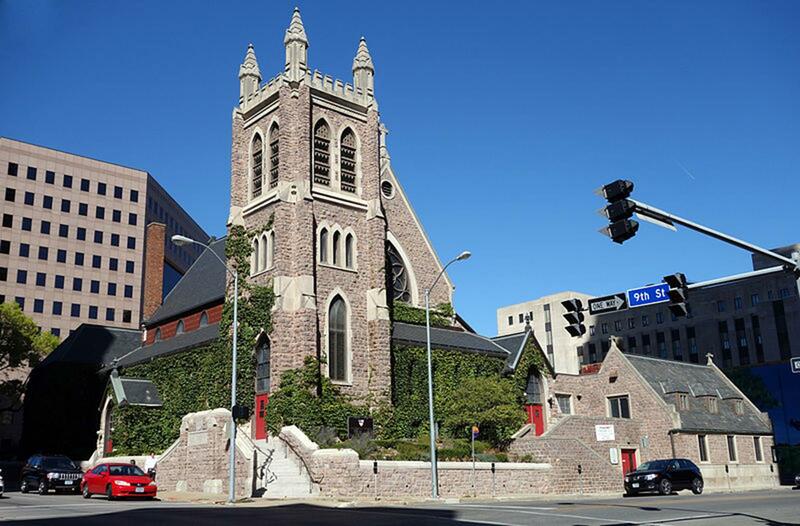 In the 1960s, the previously destroyed steeple was replaced with a steel-core structure. This was later reinforced when a 25-bell carillon was added. In the 1980s a $1.4-million renovation project included a new pipe organ and the construction of the St. Sacrament Chapel. Throughout all of this change, though, the original tabernacle has been retained. Sparkling stained-glass windows hang in St. Ambrose Cathedral. Installed in the 1940s during a renovation, their intricate glass patterns draw many visitors. This cathedral has not seen much renovation since the 1940s. It is a treasure for astute religious tourists. Christians looking for a retreat center should consider Sunstream, located in Ogden, about 50 miles north of downtown Des Moines. Sunstream offers lodging, dining, adventure activities and recreation for groups of 15-350 people. Meeting spaces can be reserved for groups of any size. The Christian Conference Center is a place where ministry can reconnect people with their faith. Located in Newton, east of Des Moines, the center was founded on 212 acres of former farmland. Facilities now include hotel-style accommodations (plus meeting rooms) and a summer camp for youths. More than 4,000 other Christians participated in their events last year. Anyone coming to Des Moines for the first time will likely be taken aback by the gleaming gold dome in the middle of the city. 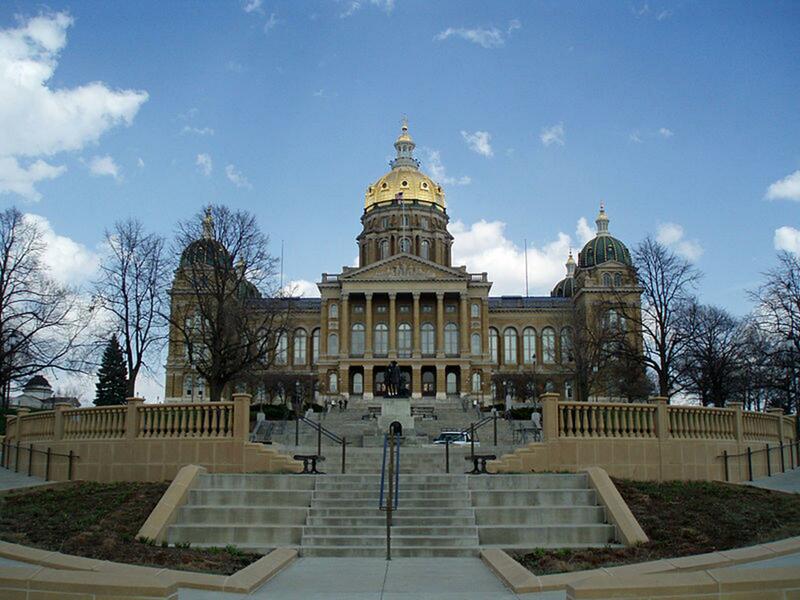 The dome sits atop the Iowa State Capitol Building and is actually covered in 23-karat gold leaf. Tours of the building are available. The Des Moines Art Center showcases paintings, sculptures and photographs – many of them by local artists. The John and Mary Pappajohn Sculpture Park, located on the museum campus, displays more than 20 pieces in an arrangement unlike any other in the United States. 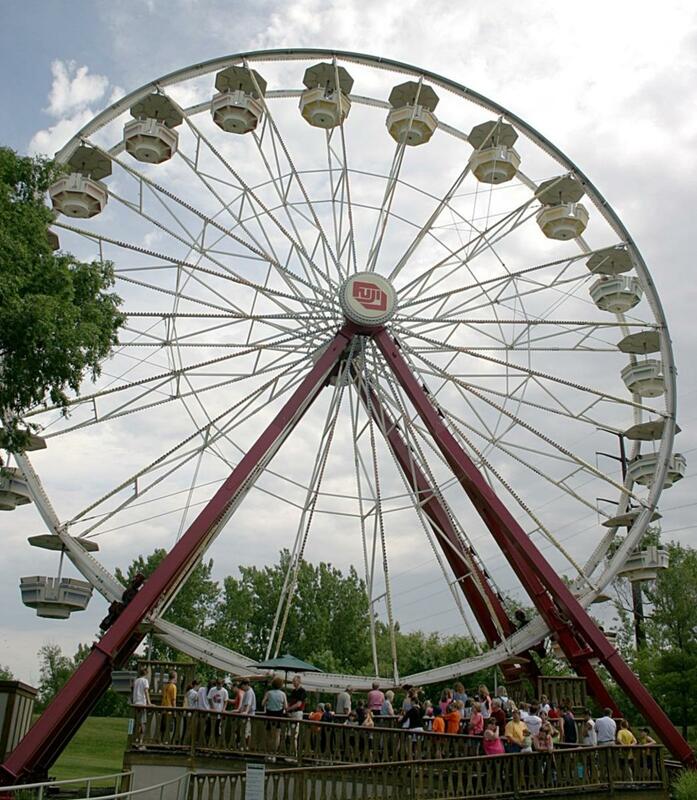 Adventureland Park, a slice of classic American entertainment, is a Wild West-themed amusement park in Altoona a few miles northeast of Des Moines. It features more than 100 rides, shows and attractions. Living History Farms in nearby Urbandale recalls Iowa’s agricultural history. Five distinct time periods are documented at the open-air museum. Visitors start at the 1700s-era Ioway Indian Village and travel through time, winding up at the 1900s-era Horse-Powered Farm and the modern crop center. Let the experience shine some light on the region’s transformation from a wild prairie to the world’s breadbasket. 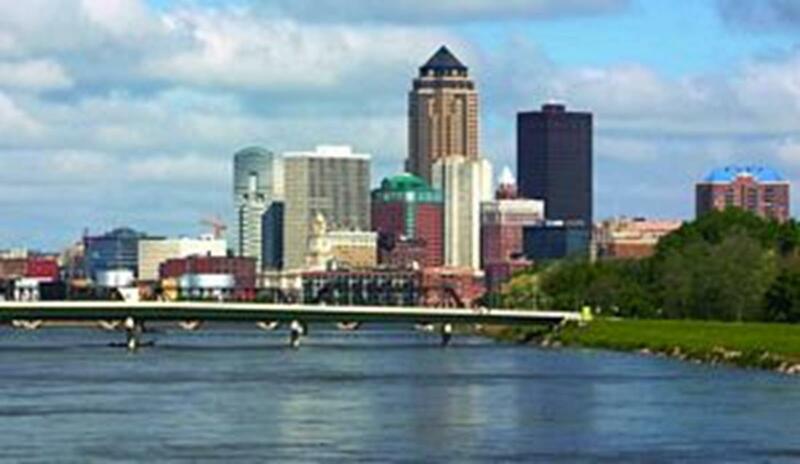 Every August the biggest state fair takes place in Des Moines. Attractions at the Iowa State Fairgrounds include contests, food, art expositions, music, a parade, a museum and, of course, livestock shows. The Renaissance Fair is held at Festival Park in Des Moines during the first three weekends in September. Groups are invited to see live shows and eat traditional food (plus baked goods and candies cooked up by locals) all in the guise of 1600s-era Europe. No matter where your group comes from, Des Moines will leave a lasting impression of Midwestern hospitality rooted in an agrarian past. Look closely and you will see the classic American frontier reflected in everyone you meet.